Former Vice President Atiku Abubakar may formally collect his PDP membership card in his home state of Adamawa on Saturday. Baring any last minute changes, former Vice President Atiku Abubakar is likely to declare his membership of the Peoples Democratic Party on Saturday. Atiku, who dumped the All Progressives Congress on Friday may formally collect his PDP membership card in his home state of Adamawa tomorrow. Sources within the party told Bounce News that Atiku had perfected plans to participate in the PDP’s national convention scheduled for December 9. 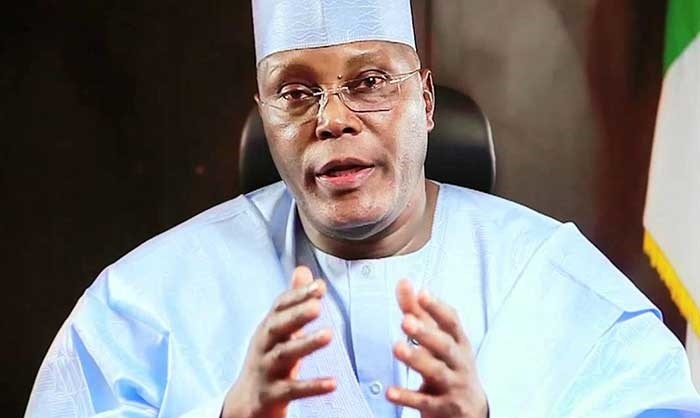 To perfect his game plan to participate in the convention, Atiku has hijacked the state executive of the Adamawa State chapter through the recently organised state congress. To be eligible to participate, the former VP would first have to collect his membership card in his Jada 1 polling ward in Adamawa. His return to the PDP on Saturday will also enable him to fulfil the eligibility condition in the party’s constitution that would enable him to contest for political office. It was gathered that the former APC presidential aspirant is expected to arrive Yola on Friday in preparation for his decamping to the PDP. Already, his supporters from the 21 local governments in the state have been mobilized to welcome him back to the state and the PDP. Meanwhile, in what would appear as early felicitations, former PDP spokesperson, Femi Fani-Kayode took to Twitter earlier in the day to congratulate Atiku on his leaving APC and returning to the PDP family. "Congrats to @atiku for dumping the plague called APC and coming back home to the PDP family. It took courage to take that bold step and I commend him for it."